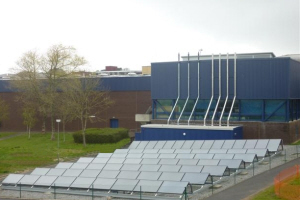 The system was installed by the contractors energy solutions specialists to heat the swimming pool which is used extensively for sea survival training and during the Royal Navy’s 10-week basic training course. 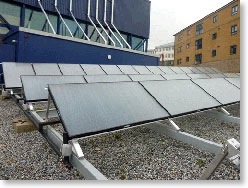 The solar system comprises 69 panels, which generate more than 30,000kWh of energy each year, as well as saving in excess of 7,800kg of CO2 by reducing the load on conventional heating plant. James Lockyer Associates worked alongside the system designers and installer to provide structural design support to for the ground mounted framing for the panels.